Who gave me love and guidance? Who showed me wrong from right? Who was there when I needed confidence? Who tucked me in at night? You are someone always on my side. At times my biggest fan. Your love you never tried to hide. Always there with a helping hand. But that's just half the story. The rest sure makes me glad. 'Cause you are much more you see. The best Mom I could ever have! 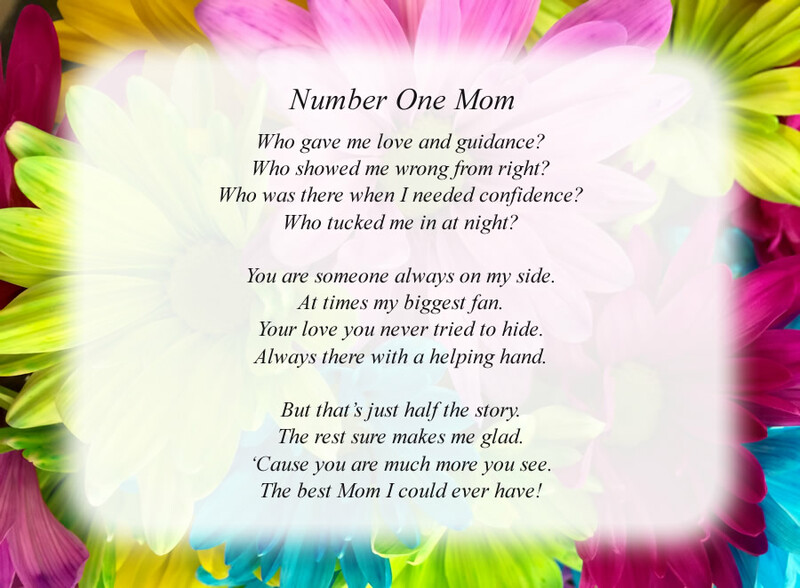 The poem, Number One Mom, is free and printable by opening or downloading using one of the three links below.